Both Scribd and Bookmate are in the news this past week, raising funds for expansion. While these two companies ostensibly offer similar services in the ebook subscription market, they have very different business models. It's widely known that Scribd uses a pay-per-read model, but less is know about Bookmate. I spent a few minutes talking to the folks from this Russian startup earlier this week at BEA 2014, and it is clear that the company has several advantages over Scribd. For Scribd’s subscription ebook service, authors will earn 60% of the list price on all qualifying reads, and here they’ve added a cool twist. With subscription services, the author or publisher earns credit for a full read when the reader reaches a certain trigger point, measured by the percentage of the book that is read. The first 10% of the book is a free sample, similar to a retailer. Excluding the sample, once the reader reads an additional 20% of the book, a full sale is triggered and the Smashwords author earns 60% of the list price, up to a maximum of about $12.50 per read. Edit: Those are what authors are paid; Smashwords's cut of about 10% isn't included. The exact terms offered to publishers likely vary somewhat based on the quality of each publisher's negotiator, so it is unlikely that all 400,000 titles in the Scribd catalog are limited to $12.50 per read. (On the other hand, that $12.50 ceiling might apply to all of Scribd's catalog; it would explain why Wiley only offers a limited section of titles.) Scribd's catalog is likely also limited by the size of the advance which they are rumored to be paying to larger publishers; this too may have affected Wiley's offering. Scribd charges $8.99 a month for their service, and it doesn't take an accountant to realize that the numbers don't add up. All it takes is for the average reader to finish a fifth of an expensive ebook, and Scribd is in the red for a given month. Is Scribd doomed? Maybe not, but I do think the terms they offered to Smashwords were generous to the point of being financially nonviable. Bookmate, on the other hand, has a couple advantages that Scribd lacks. It started in a market where piracy was so rampant that publishers had nothing to lose by signing with Bookmate, and it pays publishers from a pool that consists of 50% of its revenues. Safari Online has used a similar model for over a decade, and it does okay. With 300,000 titles from publishers around the globe, Bookmate now has around 1.5 million subscribers, about 7% of which pay around $5 a month for the service. The fee is collected by Bookmate's partner telecoms,which brings us to another unique advantage Bookmate has over Scribd. 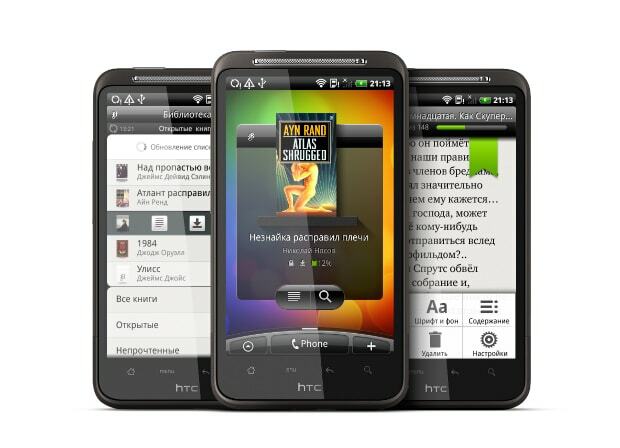 In addition to apps on smartphones and tablets, Bookmate has also developed reading apps for feature phones. This has let them partner with MVNOs including pay-as-you go companies similar to Tracfone here in the US. In some cases, Bookmate's partners charge on an incremental day-by-day model, not a monthly fee. While it is almost a truism that everyone has a cellphone, feature phones still outnumber smartphones in a lot of markets, and not everyone in the world has a credit card. Bookmate's partnerships enable it to access market segments which Scribd cannot touch. On the face of it, Bookmate is the more viable business model, but to be honest it is too early to tell. Bookmate's focus on smaller payments and lower income brackets might give it an advantage in building up a subscriber base, but the smaller payments might not equal what Scribd earns from its monthly fee. Frankly it is too early to tell. The monthly pool model is very similar what Amazon does with their library. Most participating authors see it as a visibility enhancer that happens to pay them. Depending on the monthly usage some have reported per-read payments higher than their sale revenue so whatever formula Amazon uses to set their pool it is clearly a sustainable model. Amazon’s model is sustainable because of the single title per month limitation. loosen that restriction and Amazon would probably lose money. But yes, the pool model is probably the only viable model for the long term. Given the payout sizes, odds are they could make money on a capped commercial service. Say 4-5 books a month for $10 or $100 a year. Maybe even 4 for $5 if they limit it to Prime Kindle hardware owners. Since Amazon already offers free samples, they don’t need to track fractional reads so the same mechanism they use for the library will do. Of course, that presumes the need for a commercial subscription service and that depends on how things play out with the existing ones. I think the Kindle Owners Lending Library pool is something that must come out of Amazon’s marketing budget. It’s something that doesn’t give Amazon any revenue directly but it does provide an incentive to be a Kindle owner (thus increasing the chance you will only buy ebooks from Amazon) and also to keep your Amazon Prime subscription. I have Prime, and I can tell you it’s a gateway drug for online shopping. I buy cat food and some cleaning supplies from Amazon because the shipping is free. I think it’s interesting that the Scrib’d model payment varies, depending on how much of the book the reader reads. I have never used Scrib’d to read books, although I had uploaded my free novel there, but it looked like it was designed for reading on the web, either on a PC or a phone, so it would be easy to track where someone was in the book. With a Kindle, that info isn’t available until the Kindle owner turns on wifi or 3G. But how does Scrib’d wait before deciding a reader has stopped reading the book? Is there a “load period” like a library book? Not entirely. Scribd has apps for both iOS and Android devices and books can either be read with a web connection or downloaded to whichever device. I have several different Android ad iOS devices and the title syncs across all of them. That could be where they determine how much has been read. I suspect if you only have one device, the app sends progress whenever you are connected via wifi. Pretty hard not to be connected at some point. Good writing, Nate. I happened on this page while I was writing about Scribd for my website accuteach.com. Have you realized how much Scribd has changed over the years. I like that they can make such rapid changes to the platform. I remember when they had features such as user groups. They have a lot of cash and they seem to be spending it on content while while cutting back on features. I do not want to be the grammar police, but did you mean to say red rather than read ? Nothing wrong with it at all, your pun attempt. Scribd has changed a lot since I joined back in 2009, at that time Issuu was its biggest competitor–now Issuu appears to be struggling, but I may be wrong.